One of the great aspects of fly fishing is the concept of learning how to be successful. To me, taking the time to learn a body of water and figuring out the puzzle of what works and what doesn't is far more rewarding than catching a few here and there. There is one lake I tell people I "hate" because it is by far one of the most difficult still-waters I've fished so far.I hate Paradise Lake. When I use to fish with a spinning rod it was pretty easy and on most days I ended up catching more than a few bass, but once I picked up my fly rod the entire game changed. This Sunday I fished Paradise Lake to see if I could finally figure it all out. On Sunday the weather was still a bit cold. The cold front had finally begun to taper to an end but the clouds and winds were still around. 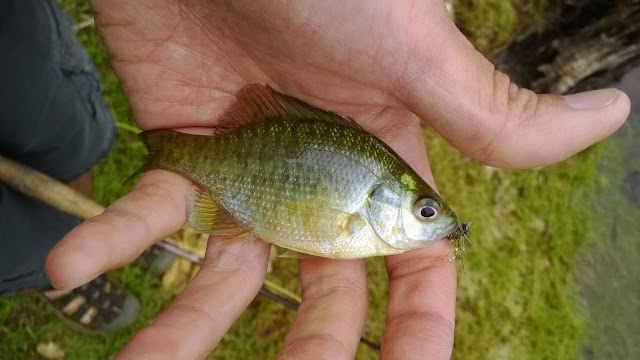 I found the water to be relatively warm and there was a lot of nice tall grass growth on the banks; ideal holding spots for bass and other fish. The lake had been stocked with trout a few weeks ago and the majority of anglers were targeting the planters. However, I had different intentions. Paradise Lake is known for its quality largemouth bass population however, the conditions that they live in make them wary and smart. The clear blue waters with a visibility of 5ft or more makes these bass difficult to target, especially if fishing from the bank. They'll see you before you see them and tricking them into eating a fly is futile if they saw you throw it. I tried different sink-tips, patterns both big and small, and various retrieves but nothing proved successful. The only fish that were willing to bite were the tiny bluegills. I did manage to hook into an 18''+ bass but on its first jump it threw the hook. Pretty awesome to see it all happen though. I definitely need to take the time to learn how be successful on Paradise Lake. 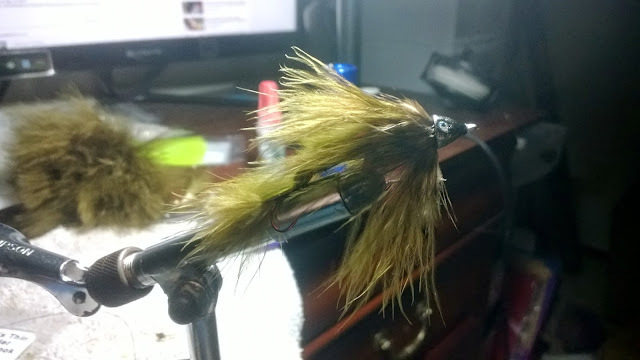 The next time I get out there I'll try fishing bluegill patterns, maybe that will motivate the bass enough to get them to take. I hate Paradise Lake because its challenging, but love it because that's what makes it fun. Horseshoe Lake is my still-water success story. This small "lake" is the complete opposite of Paradise Lake. The clear blue waters are muddy and turbid and foothill forest is a tall grassy meadow. Countless trips of trial and error is how I learned to be successful on this particular body of water. 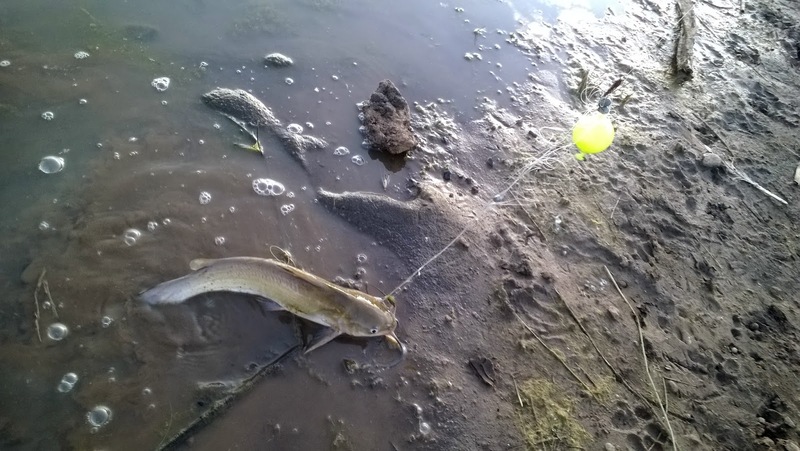 I spent an evening during the week to fish the lake and caught a dink catfish. My standard rig wasn't working so I switched and quickly found success. I also snagged myself another bobber fish but it was a dink that was somehow able able to break itself off. At least I was able to release this one. I'm tired of catching dinks. This Memorial Day weekend will be a great fishing weekend and I'm ready to catch some trophies. I have to try Paradise lake one day. Have you tried it on a float tube? It's a no contact lake so only kayaks and boats are allowed. It all adds to the challenge.